Back in 2016 opening of bank account in Bulgaria and starting any business was one of the easiest operation in whole EU. Today in 2018, In order to open an account in any bank and register company in Bulgaria, you should be aware of the new restrictions for any foreign individual or company. 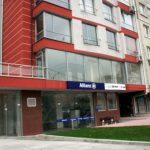 The biggest banks in Bulgaria like UniCredit Bulbank bank, Raiffeisen Bank, First Investment bank , ProCredit bank are getting even more conservative and almost do not allows new foreign client accounts. However if your business is very strict forward, transparent and you can proof that. You may not have any problems to open your new bank account and benefit from the Bulgarian lowest EU tax treatment. Great news is that Virtual Office is still very acceptable and the banks does not complaint with that. Ones you pass this first interview you must be very strict with all you have declare. Invoicing, clients, payments from and to the account. Your account will be monitored in the first 1 year and if there differences from what you have declared first, you account can be in the risk to be closed immediately. Normally different banks are entitled to proceed according to their terms on local or foreign clients or regarding the type of the accounts which they can open and hold. In general the most popular type of bank account remains the current bank account that serves for all kind of transactions such as depositing, storing, withdrawing and transferring money. Other types of bank account that can be open are either an individual account or a business account (for different types of legal entity, joint stock company in the process of being set up, etc.) that can be a capital account. There are no legal restrictions on the number of the bank accounts you can open and hold in one or several banks but a certain bank may have its own policy or certain limitation. 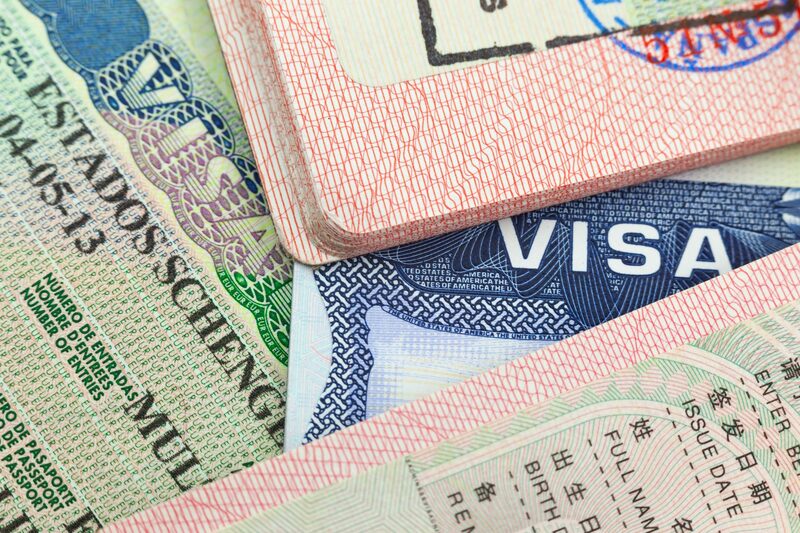 Documents required to be presented for individuals are identity card (for a Bulgarian citizen or a EU member citizen) or another identity document such as passport (for a foreigner or a non-EU citizen) or another type of residence permit of the foreigner. This document must be presented both in original and copy. Also some of the banks may require the foreigner to submit IBAN of an existing bank account in the foreigner’s country in order to confirm he has bank customer’s history as well as a recommendation letter, translated in Bulgarian language, from a Bulgarian who is a client of the same bank. Bulgarian banks opens and maintains accounts and carries operations in local currency (Bulgarian levs) but also in all major foreign currencies such as Euro, US dollars, Swiss francs or British pounds both for local and foreign customers. Respectfully, money can be received into the account through cash payments or cashless transfers. In case of opening a business account, you need also to present a Specimen of the signatures of your company. All the specimen signatures must be handwritten in front of a responsible bank employee or certified by a notary. You will also have to provide to the account an amount equal to the capital stated n the contract and in the articles of association of the company. 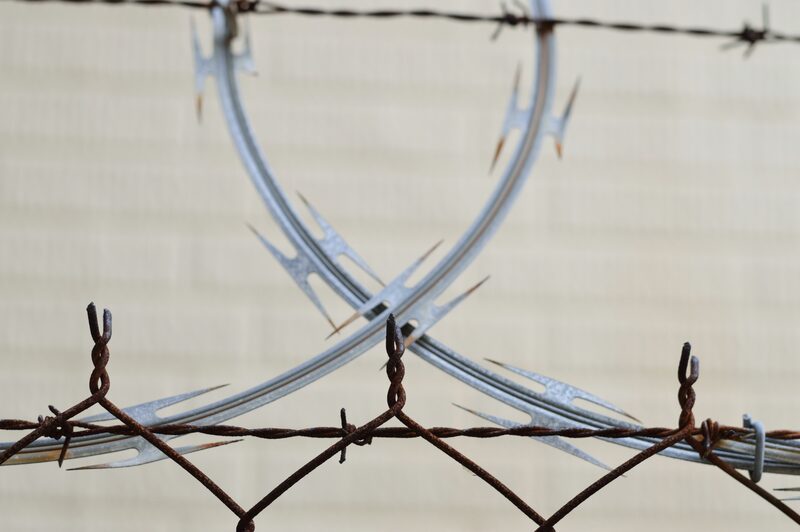 Depending on the type of the entity the bank may require more additional documents such as a court decision to set up the company, a bank certificate, etc. For the opened individual account the bank provides to the account holder a card containing the account number, the name of the holder, the personal identification number for the Bulgarian citizens and date of birth or personal number of the foreigner (in case he had already issued) and term of validity of the card. Most of the banks provides their customers with the online banking opportunity too by which you can execute various operations with your bank account in real time through your Internet profile on the bank website. Banks are entitled to require opening fees or minimum amount for initial powering of a current account. If you need someone else to operate of the funds of your current account, you must authorize the person to have the rights to dispose of this account by an authorized power of attorney. In case you work as a feelancer but you want to explore Sofia , a remote worker or still planning the stages of your future start up or even if you have a big business already, choosing a coworking space option happens to be the most convinient idea for saving your capital and developing new contacts and creative opportunities. And how to choose a co-working space in Sofia? This can be quite a challenge too, so don’t hurry before you answer some relevant questions regarding what would be the best for you or your colleagues among fitting personal requirements, budget, type and more. What type of co-working space do you need? Coworking spaces vary accordingly to the needs of their customers. For example, If you are working in a small team than you may find appropriate leasing a whole prived serviced office. This type of office should be fully fitted with various kind of services to satisfy everyones needs in your team. If you work alone, then standard coworking space offer is for you. Sofia is budget destination, comparing with most EU cities. Rental cost and what it will cover are always important to be asked. The serviced offices require some deposit and no prepayment most often. Coworking office must have profitable membership schemes of using a coworking space only when you need, month-to-month leases, shared or flexible payment fees options that you can take advantage of or arrange it. A ready office space or coworking office should be providing an office infrastructure, enough utilities and functionality of the space. You should concider to have everything you need to maximize your productivity including access to all-in-one such as fast WIFI, prefered type of seating and desks, reception, meeting rooms, conference room, printing devices, breakout spaces, kitchen, coffee suply, etc. Choosing a location goes as a must ask too. You should concider the transport network in Sofia and the costs of travelling to the place. It must also be close enough for your clients or other employees to visit. The central or downtown locations are usually the most wanted and adding up a sense of prestige too and value to your business. By choosing your coworking space or private office in Sofia you will also choose community, future human capital as well as networking opportunities. Being surrounded by other likeminded professionals is a great benefit in attracting new talents, networking or even hiring a potential team, receiving a feedback when you need, socializing in a culture that you fit in well, following an industry development from the very heart of it and discovering brand new ideas in these hubs of innovations that unite creative people. Growing your busineess or being productive once you accomodate yourself in a coworking space depends a lot also on the working environment. You should always visit a coworking space before you lease and be convinced that the environment will allow you to focus and think, to follow conversations with clients and meet deadlines of your projects as well as give you an opportunity to set clear goals for yourself or for your working community. Year 2017 that just ended can be defined as the year of the tall buildings in the capital of Bulgaria. The skyscraper projects provoked numerous disputes, protests, and debates about the need for such tall buildings in Sofia and the chosen location for them. 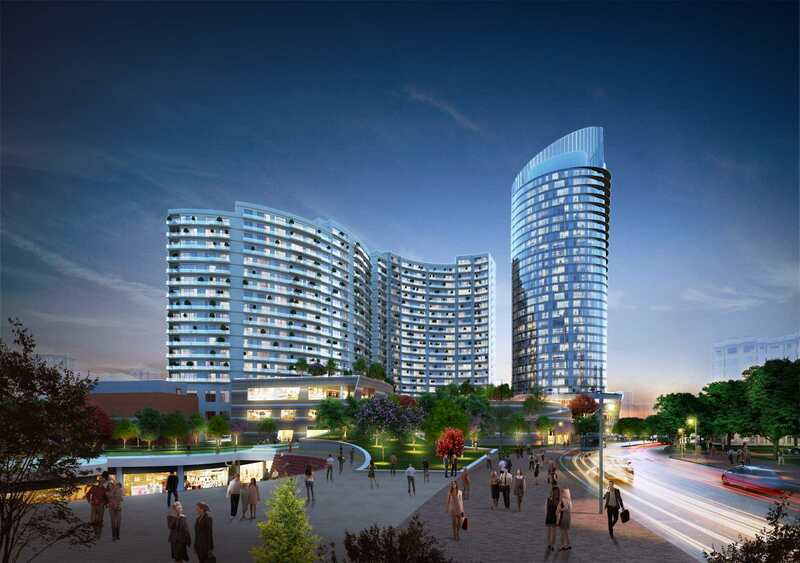 In February 2017 one of the biggest projects – Grand Kanyon Sofia received a building permission. 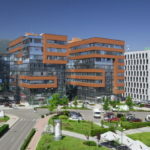 The event was followed by more plans for constructing big office buildings in Sofia including a multi-functional building (215 m) near a large mall, a project for a residential building with offices (100 m) in Lozenets and an office building project (80 m) next to Bulgaria Blvd in Borovo District. In the autumn of 2017, it was reported that there is a serious struggle against the construction of an office building (150 m) in Strelbishte District due to lack of all the necessary documents. Conversely other two tall office buildings has gained their building permissions and both are currently under construction. One of these office buildings is located on Tsarigradsko shosse Blvd while the other is rising up in the heart of the city on Macedonia Square. 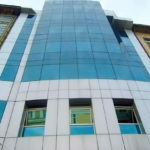 The increased demand for business offices in the capital have led to the renewal of several old projects for office buildings as well. In general, the largest office building projects of 2017 in Sofia are mainly focused on good infrastructure and fast transport links, with the new metro lines which are currently in development, being the main factor. 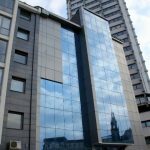 Which are the present worth mention office building projects in Sofia and what will they offer us as work area and environment? Let’s take a look on them. 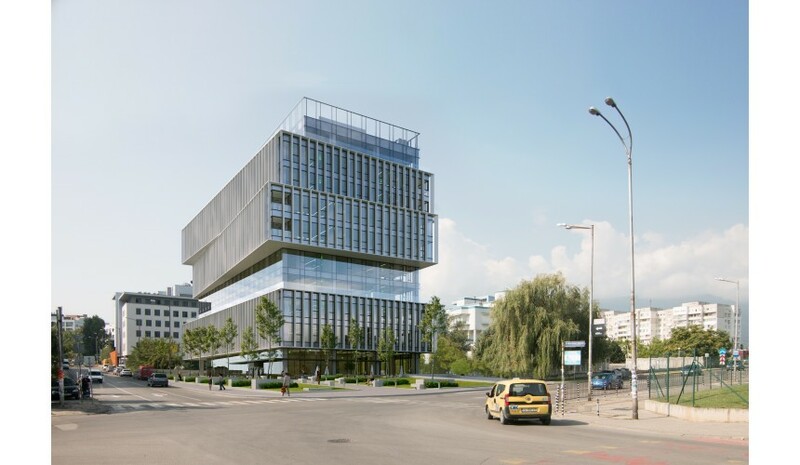 Grand Kanyon Sofia is one of the biggest office building projects that will be constructed in Mladost 2 District. The building is situated right next to Alexander Malinov metro station which grants quick access to almost each city point. The investor of this huge project is the Turkish company Garanti Koza. 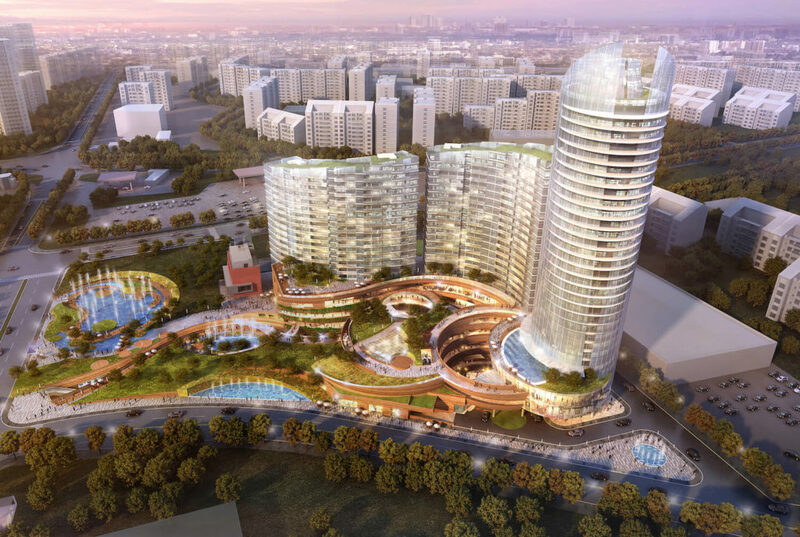 The project includes modern offices, two residential buildings with 700 apartments, a hotel from an international brand, an entertainment and commercial center with a cinema complex, a spa area, and a park. The investment is expected to reach 120 million leva and the launch of the site is planned for 2020. Advance Business Center is an administrative building on 11 floors in Mladost 4 District. It is built near the Business Park and is expected to be the tallest building in the area. The project has been financed by the foreign investor Global Trade Center. The company plan to open an area of around 14,500 sq. m. with Class A offices right after the first stage of the project is completed. The investment for the entire project is 54 million euros, and the first building is expected to be finished in April 2019. The second part of the project is awaiting a building permit. 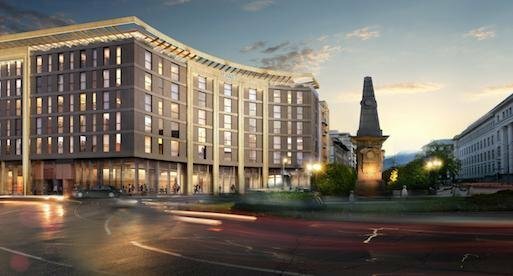 In the very heart of Sofia, only a few meters away from the Levski monument, a hotel of a famous international hotel chain is under construction. In addition to the countless five-star luxury rooms and suites, two restaurants, two bars, and a huge spa center, the Hyatt hotel will offer a large conference hall with an area of 600 sq.m as well as five smaller meeting rooms. The common space for the organization of various business meetings and events will be 1300 sq. m. The company owner of Hyatt Hotel project is Terra Tour Service. It plans an investment of 30 million euros that will support finalizing the project during the first half of 2019. Located near Tsarigradsko shosse Blvd, this office building will provide office space of the highest Class A. The building will also feature a restaurant, a café and an underground parking area. The investment is 10 million leva and the expected date of completion is December 2018. 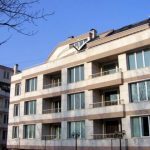 The company Arko Real Property Holding will locate its Office building 15 in the eastern part of Business Park Sofia, not far from the lake. The building features an interesting architecture and offers five levels of offices and two levels of parking lots, as well as a ground floor with shops and restaurants. The roof space will be organized as a small park. The project value is about 30 million leva and the expected date of its completion is December 2018. 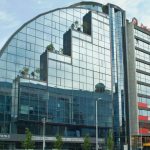 The optimistic forecasts of the business and the good economic performance in 2017 affected the office property market in Sofia. Along with the new class A office projects the interest in Class B office spaces in Sofia has also revived. 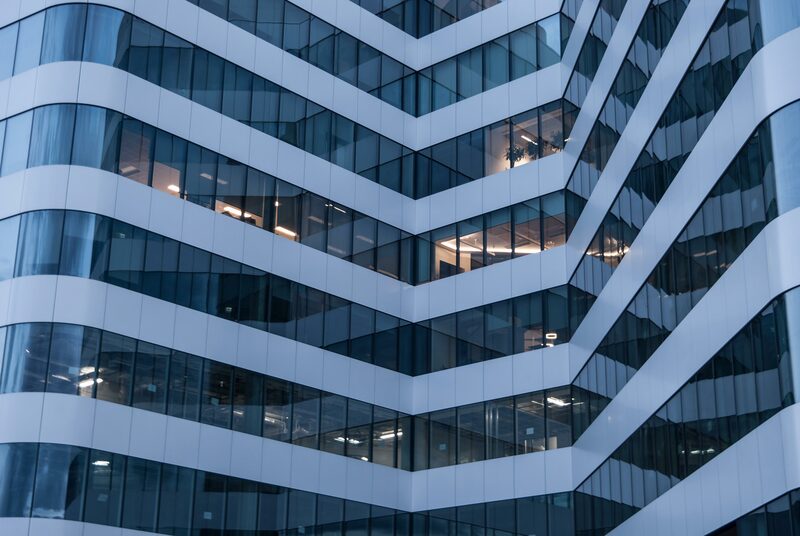 The volume of new office rents has increased by 14% in 2017 compared to the previous year 2016. The offices of class A and B available at the end of 2017 are approx. 187,000 sq.m. Under construction are approx. 340 000 sq. m. of office space that are to be completed in the current year of 2018. At the same time, in 2017 were issued building permits for offices with approx. size of 110 000 sq.m. The experts expect that by 2020-2021 another 300,000 sq. m. will be completed. There is a slight increase in the rental rates, reaching 7-10 euro/sq.m. for Class B offices and 12-14 EUR/sq.m for Class A offices. The preferred business locations in Sofia remain the same. The interest is towards office buildings located in the districts of Lozenets, Hladilnika, near the Business Park Sofia, around Tsarigradsko shosse Blvd., Todor Alexandrov Blvd and Bulgaria Blvd. These areas have a high percentage of already rented office space at an early stage of the projects. The demand comes from well-established companies that expand their business and from emerging companies that are starting their business in Bulgaria. 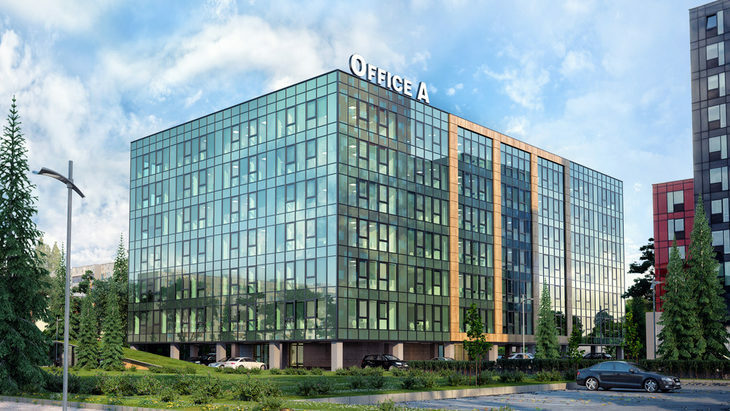 Sofia Office Premises Under Construction Reached 175 000 sq.m. In the second half of 2016 the offices under construction in Sofia city reached 175 000 sq.m. 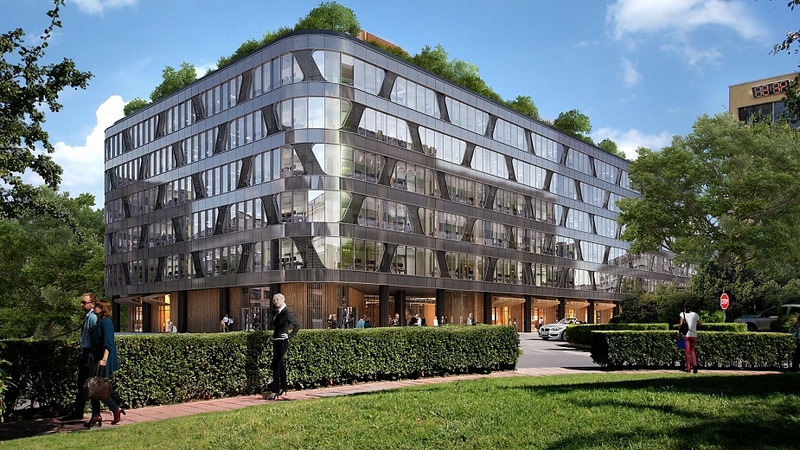 The offices are expected to become ready in the capital city of Bulgaria in 2017. Great deal of these new office premises are based in the main business zones of the city, along Tsarigradsko Schousse Blvd., the ring road, the Business Center in Mladost 4 District and the city center. Even so, the trend is for decreased number of available office premises. In fact, the available offices of class A and B in the last quarter of 2016 were approximately 210 000 sq.m, which is two times less than the previous quarter. 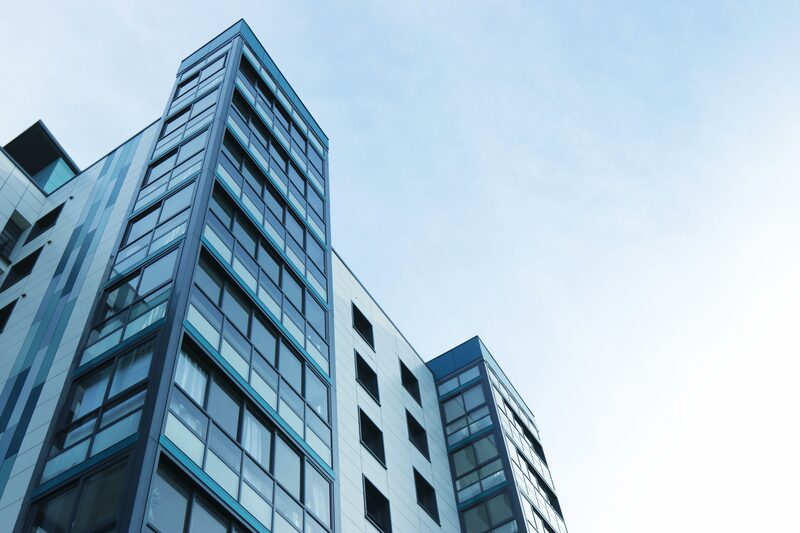 The average rental levels remain unchanged, which means 11-14 Euro/sq.m for the offices of class A and 6.5-8.5 Euros/sq.m for the offices of class B. Here you can see the latest office rental offers in Sofia. 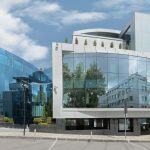 One of the major construction companies in Bulgaria will built a huge office center right in the heart of the Bulgarian capital Sofia. This will be the second phase of the Polygraphia Office Center and it is calculated at 10 million Euros. The completion of the new office project is planned for the end of the summer 2017 and is expected to provide 12 600 sq.m of Offices of the highest class A. 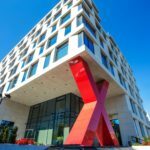 The investment is backed up with the Bulgarian holding company AG Capital and the British Real Estate Fund Northridge Capital. The new office building will feature six floors and an inner yard. 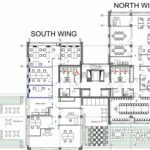 It will be connected to the already existing office center through a solid covered passage. It will feature a parking zone on two levels with 100 parking lots. The new office building will further have an ecological certificate LEED Silver. The rental levels in that office building under construction, are expected to be around 13 Euro/sq.m.